The new iPhone 5(s AAPL) brings a bunch of welcome hardware changes: who doesn’t want a faster processor, 4G radios, better camera, and so on? But there is a change that may cause a bit of a headache for users: Apple’s decision, after nine years, to move on from the wide, rectangular 30-pin connector it’s been using in all of its mobile devices. The new, smaller more elegant-looking Lightning dock connector has been something of a lightning rod for confusion and criticism for Apple in the days since the announcement. So I chatted with Kyle Wiens, who runs the electronic hardware-obsessed repair guide service iFixit, to find out more about the technical benefits of the new connector and why Apple made the change. Apple’s selling points for the new connector: Lightning is 80 percent smaller than the old connector, and it’s reversible, so it doesn’t matter which way you put the plug in, unlike the old solution. The size issue is indeed the primary consideration, said Wiens in a phone call on Friday. But it’s not just about making room for more components into the new iPhone: there’s the future of its full mobile lineup Apple has to think about. “Apple was running into limitations” with the current 30-pin dock, he said. “You can see with the iPod nano, the dock connector was the limiting factor” in Apple’s ability to shrink down the size of the company’s tiniest music player. That makes sense, and we know there’s precedent for these particular kind of design considerations at Apple: see the decision to ditch the Ethernet port on the MacBook Air back in 2008. “The new connector is moving from a combination of anolog plus digital to pure digital. They’re saying, ‘Hey, if you have an accessory, like a car stereo, you have to talk over USB or a digital interface,” said Wiens. “They’re forcing accessories to be a bit more sophisticated.” Luckily, he added, that’s not really a challenge for most accessory makers any more the way it would have been nine years ago. But if size is such an important concern, why did Apple come up with its own Lightning connector instead of using something small that almost everybody already has lying around, like micro-USB, which is already a standard in Europe? It’s very likely about money and control. Though he admits it’s a “cynical view,” Wiens says a main benefit of going with a new connector like Lightning is Apple’s ability to charge “big bucks” to license the use of it to accessory and peripheral makers. He estimates through his talks with peripheral makers that Apple charges from $1 to $2 per device to make stuff compatible with the iPod, iPhone or iPad. Apple, a famously controlling company, has a very clear view of future product roadmaps, and that includes what kind of connectors it does or does not want hooking up to its devices. The licensing model allows that. We won’t know the true performance benefits of Lightning (is it really faster, as Apple says?) until the iPhone and new iPods start shipping and users get the chance to test them out. But we do know that thanks to the change, there’s a potentially large pile of e-waste headed for landfills over the next couple of years as hotel alarm clocks, old battery cases and cables will eventually be swapped out as Apple’s new wave of Lightning-capable devices grows in size. they dismissed the 30-pin simply because it’s a stupid idea. 30 pins for what the hell used for?? why not a 60-pin or 120 pin? There is another advantage to a proprietary system, and that is that you avoid millions of user support requests from non-technical users as to why every last USB device doesn’t work with it- the proprietary cable makes sure that only devices that should work with it can be connected. Sure, they kept the old connector for 9 years, but they broke existng basic funtionality at leat once, when they broke charging old devices to support charging new devices. Oh wait, they did that with device control, too. In any event, the consumer takes it in the shorts. MicroUSB connectors are too flimsy. My girlfriend has had multiple warrantee replacements of her Kindle reader simply because of MicrosUSB connector failures. Lighting appears to be a much more rugged connector. This, I think is their prime motivation. Can you imagine the backlog of accessories that must be sitting on shelves in stores and warehouses with the 30 pin docks? I concede with every word you said. What does a person do? I supported Apple for many years. Leaving was definitely tough but necessary. I moved from Mac to Windows years ago knowing there maybe a learning curve and some OS issues on the part of open source. However, I have recently transitioned to Android based devices for the last two years and could not be happier. I have no regrets whatsoever. At least the money I spend is going towards an ecosystem that recognizes trend of standards. As a past Apple supporter, I would definitely be upset with this move. What harm would it have done to include these adaptors that probably cost them next to nothing to make. Many say that 50 cents here and 50 cents there adds up. Yes it does. But, for a consumer base that has made Apple wealthier beyond belief, I think a little payback would be a nice gesture to say we had to make some changes but we want to thank you for supporting our new product. Now the question arises whether to keep supporting the practice or move on. Starting over is not an easy chapter, but to regain dignity of control makes the cut easier. The two primary benefits of Apple’s proprietary dock over micro-USB that I have read about (neither of which ae mentioned in this article), are a) that it allows for 3rd party access to audio controls (like controlling the music via car audio kits) and b) that microUSB doesn’t have enough power to charge the new iPad. I can’t find the article where I read this though sorry, but thought these facts were relevant. Micro-USB is a cable not the power supplier. The power supplier is the host USB port. I think everyone is missing the forest for the trees here. I think that Apple developed this cable as a new standard for the next 5-10 years. I also believe, like many things Apple does, they have a solid reasoning behind it. I think that they designed it to eventually move to Thunderbolt, hence the Lightning name. I don’t think that the iPhone 5 has Thunderbolt chips in it but the iPhone 6 or 7 might. Let’s remember that Thunderbolt can carry USB, FireWire, Ethernet, and video all over the same cable simultaneously. So Apple could release a Thunderbolt-to-Lightning cable, which would power and exchange data over the USB 2 or USB 3 protocols on the iPhone 5. Apple already makes Thunderbolt to Ethernet and Thunderbolt to FireWire adapters. I’m speculating that when Thunderbolt chipsets become cheap enough, Apple will put them in the iPhone, not sure if it will be the iPhone in 2013 or 2014. Of course some people that claim that the interface change is a money grab, or MicroUSB, an older USB 2 limited technology is better. These people are ignorant and lack the foresight to understand that Apple designs this interface looking to future options of technology. Apple designed an interface that can include future technologies, not limit users to the past and current tech aka MicroUSB. Apple lists the Lightning cable as USB 2.0 but since no one has the cable, how can we be sure it’s not USB 3? Apple is still selling Mac minis, iMacs, and Mac Pros, with USB 2. Maybe Apple doesn’t want to confuse non-techies by listing the cable as USB 3? Your analysis makes sense. Yet, I question the theory. Most technical advances are quickly moving towards NFC, Bluetooth and other forms of wireless functions as full time links for communicating between devices thus eliminating the need of cables for communicational purposes. Even third parties will have products and services to recognize this future technology. 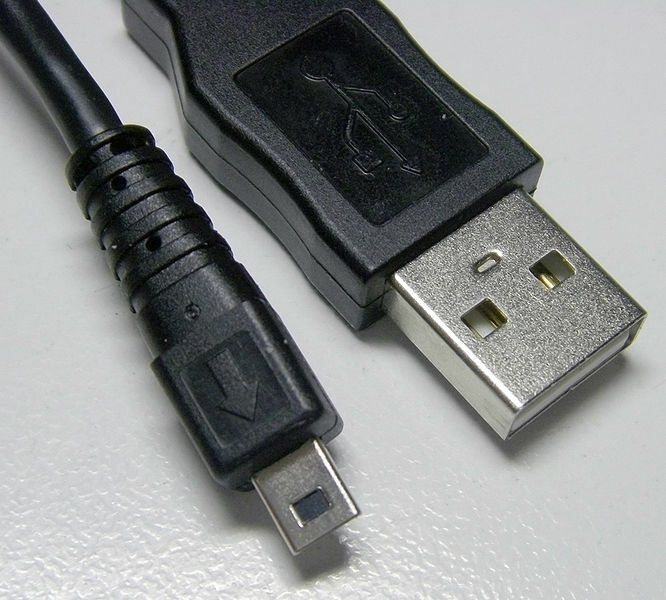 The USB cable would essentially just be rendered a charging post or residual connectors for current devices that may still be around a few years from now. Apple has always, in its 30 years, wanted to remain proprietary from everyone else. It allows greater profit margin for their products. Trying to look at any technological aspects of their business, seems to blindfold the insight of how Apple’s MO is generally played. Apple has stated themselves that they stand to make milions and milions by this move. Sure Apple developed a new standard that they say will last for a long time, sure, until Apple decides again to change to something new that is revolutionary, magical and non-standard. Calling users ignorant is well ignorant on your part. It is as the authors title says about “Design, money and control”. Apple designs their products to maximize THEIR profits and to control THEIR products and THEIR users. I can say this will great confidence as a Mac user. I don’t apologize for choosing to use a Mac (MBP), an iPhone, iPad and iPod I chose that ecosystem. What I do take issue with is Apple’s BS marketing ploys that so many users will drink (like Kool-Aid). Apple had a great opportunity here to include a free adapter, as they advertised on their own website when ordering an iPhone 5. Yes it was advertised as included with the phone, only later to have the full text removed and the initial customers told sorry no adapter for you. Once again, greed over customer service. Apple could have offered a reduced price on the first adapter, cable or adapter with .2M cable when ordering with your iDevice. Again Apple did not do this because profit is more important than customer service. It is not about how much disposable income one does or does not have, so what if you can afford an iPhone does that excuse the ridiculous pricing you need to pay for something that cost maybe $1-3 and they are charging $19-39. I choose the products I purchase based on my needs, but I will likely carry the one included cable everywhere I go until the after market catches up and offers reasonably priced alternatives. 1. He called the supporters of the money grab theory, ignorant, for ignoring the potential advance of a new interface design that could adapt to new technology. Isn’t that the definition of ignorant? He didn’t insult users, just critics that subscribed to a particular theory. 2. You lost me at your repetitive use of “THEIR”, complaining about current cost VS future advantages, and “BS marketing ploys”. Complaining about price is the prerogative of current disgruntled users, you having to pay for any adaptor, or non users. “BS marketing ploys” are the comments by disgruntled users and non users who have no idea what marketing is. Apple isn’t successful bc of marketing, it’s bc of product design. You obviously don’t know the difference. I’m surprised that Apple stayed with the 30 pin adaptor so long. In 2006, when Apple switched to Intel chipsets, they got rid of their last analog only video outs. Apple started using DVI output as standard across all Macs, not just the high end. Of course that DVI interface also had analog pins, so with a cheap dongle, users could still use VGA devices. People who complain about this change remind me of the people who think it’s good to keep putting VGA ports on laptops. A DVI port with analog pins and a $5 dongle is a much better solution. And now they’ve done away with DVI and replaced it with Tbolt but Tbolt doesn’t send EDID data correctly, so hundreds of millions of devices that use that data (video display devices) are now crippled or useless. As I said earlier, the consumenr takes it in the shorts. The answer is simple. Apple pockets will never be full enough. Forget chimps or orangutans, any monkey can connect micro USB to its device. As you read this article, it is clear that there are more advatages to Apple’s bottom line for this move. I don’t have a problem with people loving Apple and their products. I do, however, question why these customers don’t mind spending X amount of dollars more for accessories than we all do for industry standards. It doesn’t seem necessary. I do blame these consumers to find it “acceptable” and keep pumping money into the system just because it’s Apple. It’s like knowing somebody is going to rob a bank and you will become an accomplice just because you like that person. Micro USB cannot charge the iPad in the same amount of time as the old 30 pin. Apple wanted one Digital charger for all of their future devices. Both are USB on the PC end, deriving power from the same port. Any limitations on power delivery is due to the host and not the device or cable. Maybe there is something that I am missing here. MicroUSB is flimsy and sticks out so it bends under the leverage. Lightning is strong but sticks out subjecting the port to leverage damage. Apple had it right the first time. Apple should have made a mini version of their first low profile cable. At least they moved the headphone jack to the bottom like was always so for the iPod touch. That way when the connector and headphones are plugged in at the same time cords aren’t sticking out different sides of the phone like so many droids and other phones. Apple gets so much credit but really, what’s the matter with people. This stuff isn’t rocket science. I’m not looking forward to the new lightning cable sticking out. Whats with all of these comments? Micro-USB would have worked just fine and is a standard on almost all phones. Apple didn’t do this because there wasn’t an option out there already. They did it for some mix of the options in this article. I have to agree. My only complaint with Micro-USB is the one sided design, but that is not enough of a reason to go build a different connector. My 2 year old can hook up his tablet with no issues, and it uses Micro-USB. microUSB is not a connector for the masses. Too small. A flipable connector over a microUSB is a large improvement. It will work for both small kids and old folks. Forces the hardware makers to do the work, and not the humans.